The club has now taken delivery of its trailer. 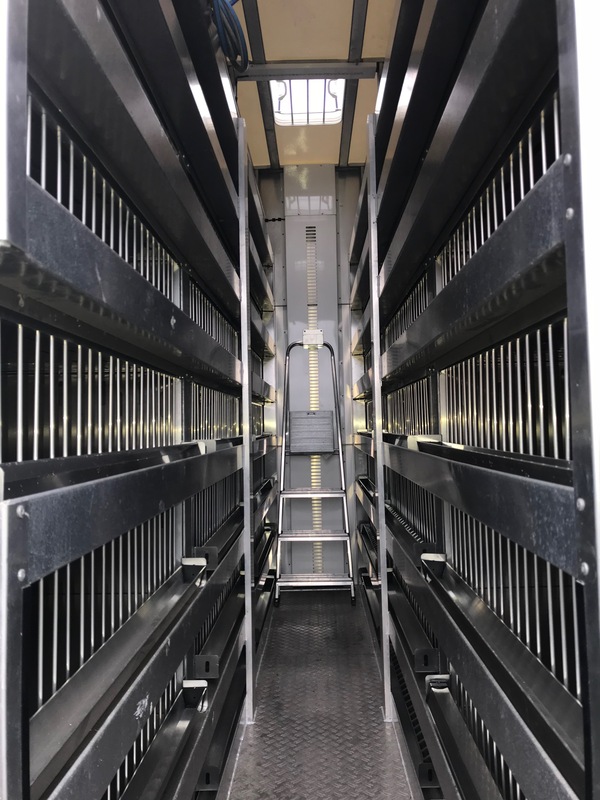 The trailer has capacity for 1200 birds with 25 birds in each of its 48 crates. 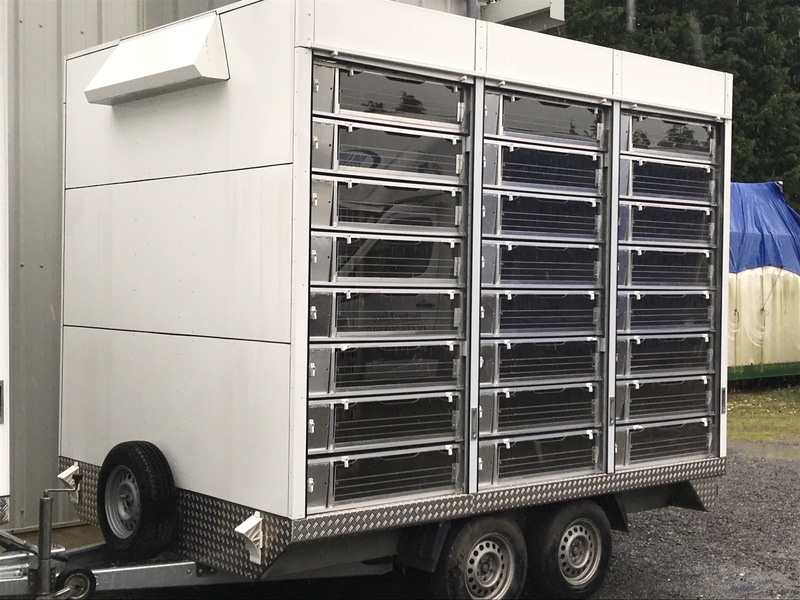 The trailer has its own independent water tank, central corridor for the conveyor to tend to the birds with a central ventilation system. 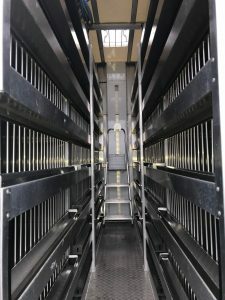 The crates are exactly the same as the on the transporter with individual drinkers fixed to each of the cratse so only the birds in that crate may drink from it. 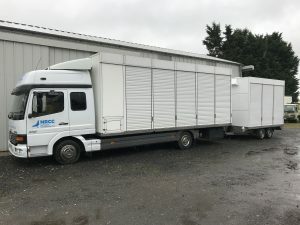 The trailer compliments our transporter and means that we have the capacity for 3200 birds at 25 in a crate for up to an including Perth and with 20 in a crate for the longer races we can comfortably carry just over 2500.